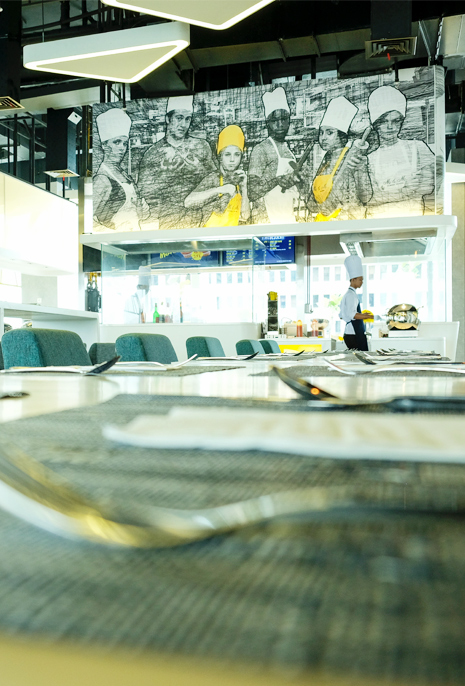 Text by Anggita D Saraswati, Photography courtesy of Yello Hotel, Harmoni. 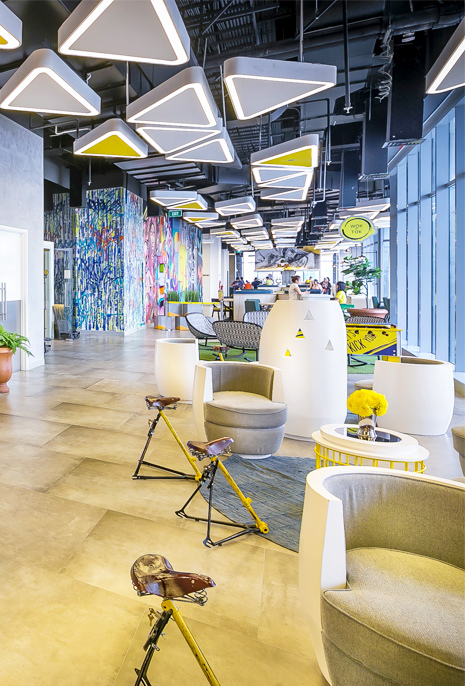 If you find yourself in the Harmoni area in Central Jakarta, there is no way you could’ve missed YELLO Hotel with its eye-catching building shape and bright yellow logo. 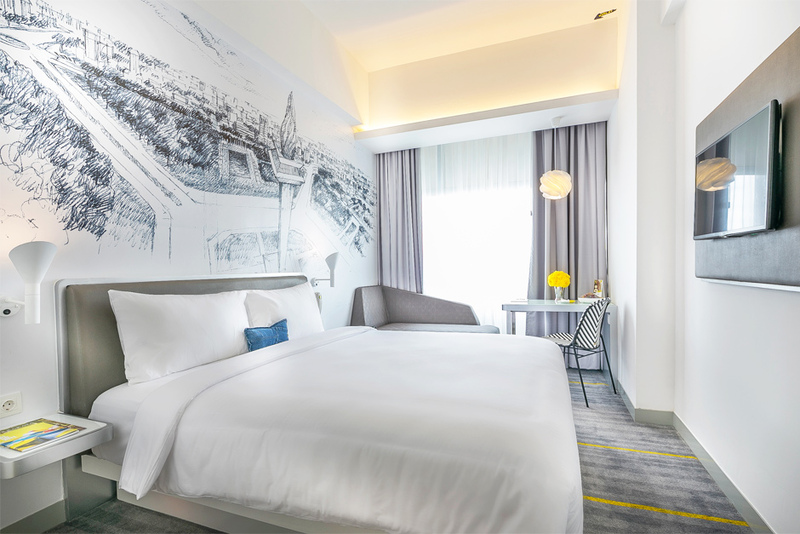 Situated strategically within walking distance of Harmoni Central Busway Station, less than 40 minutes from Soekarno-Hatta International Airport, and less than 25 minutes from M.H. 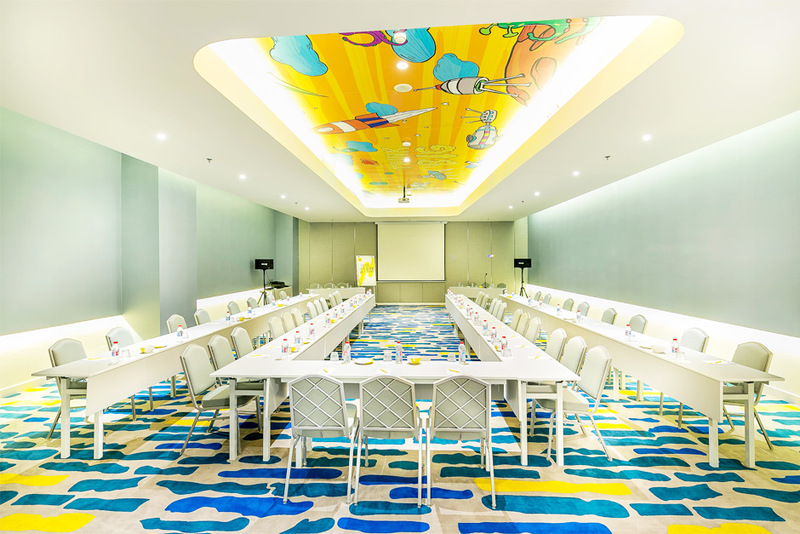 Thamrin business district, this is the perfect accommodation for both business and leisure travelers. 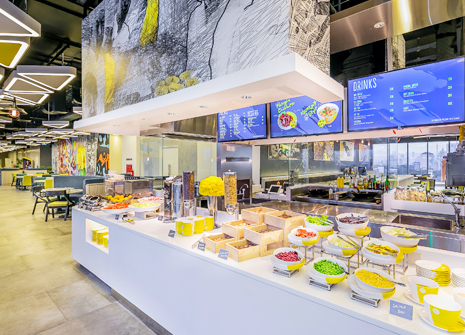 Once inside, you will immediately be greeted by a modern and artsy interior, filled with – true to its name – splashes of yellow here and there, which creates a cheerful and youthful atmosphere. 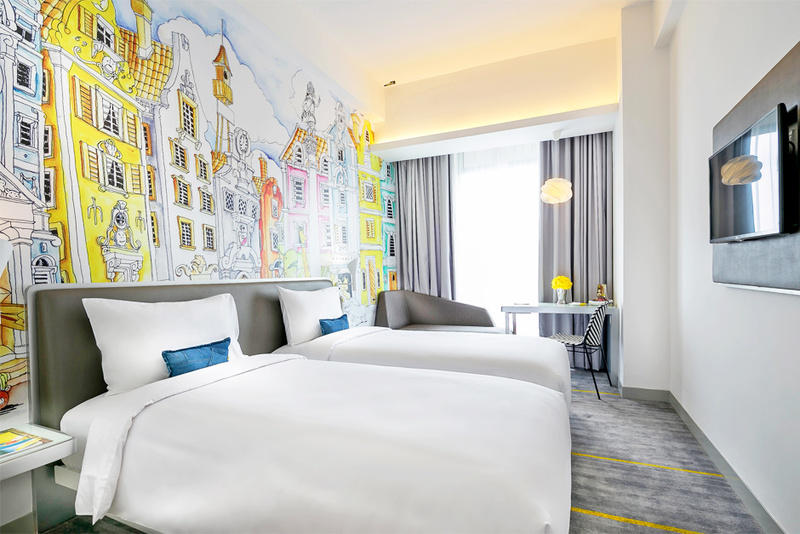 Far from being tacky, instead, this 3-star hotel provides a unique staying experience for guests, thanks to its incorporation of art and design elements into every space and component available. 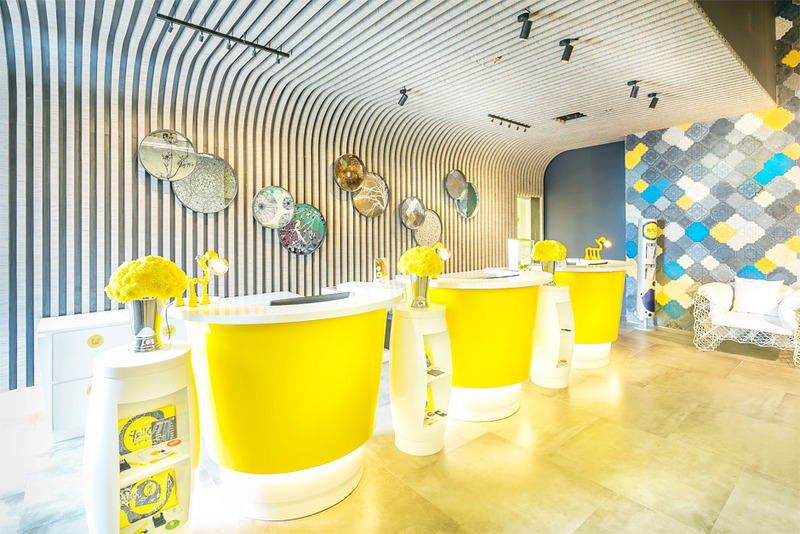 YELLO Hotel is where art meets design, everything is fun and thoughtfully designed to uplift your spirit. Take, for example, the entrance area. Art enthusiasts will be delighted to find distinctive sofas courtesy of Ong Cen Kuang Designs, as well as quirky lamps by Vio Bulb Gallery – both from Bali. 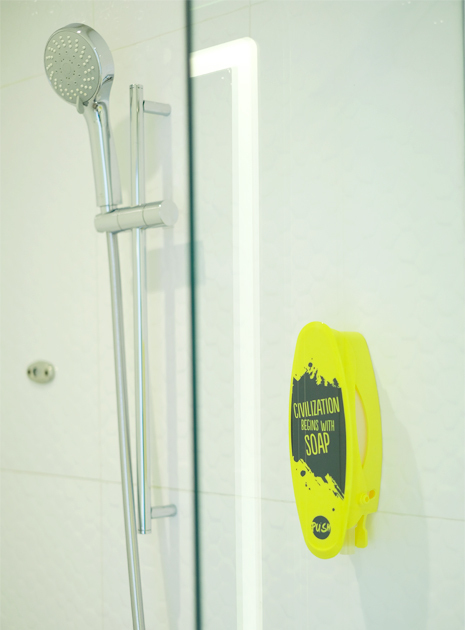 Not to mention the many interesting artworks that are present throughout the whole hotel, among others, used paint cans that are displayed beautifully as decoration on lifts and escalators. 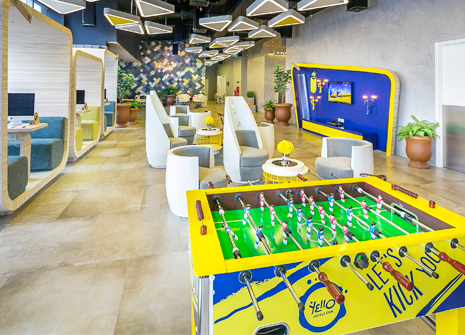 As well as being a treat to your eyes, YELLO Hotel makes sure to cater to its guests’ needs by providing great facilities with quality service to boot. 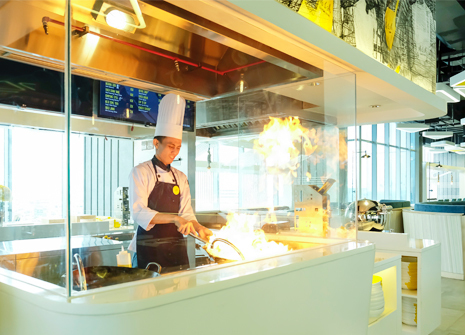 Featuring 372 rooms and 8 fully-equipped meeting rooms with a total capacity of up to 600 persons, this hotel also provides tech-range facilities such as Wok ‘n’ Tok (YELLO Hotel’s signature restaurant), NetZone (working area that provides high-speed internet along with hotel’s tablets), and Chill Spot Lounge (perfect for anyone who wants to unwind after a long day). 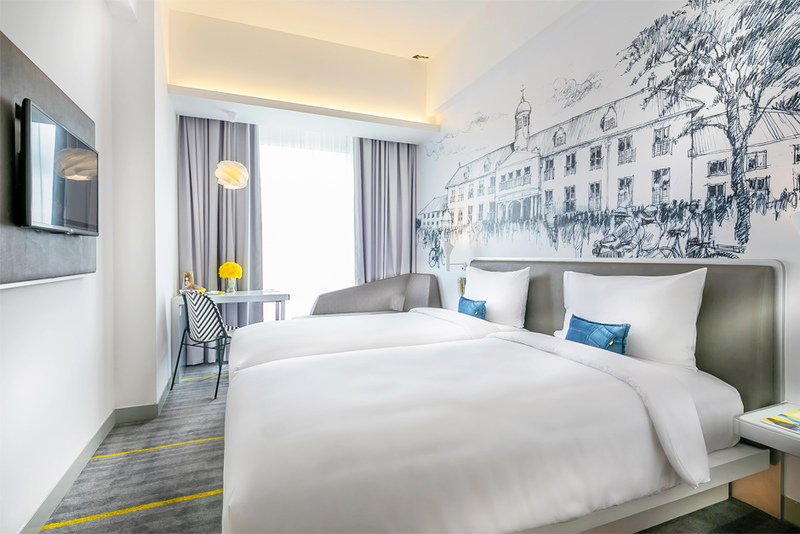 Rooms are specifically designed to be practical with a width of 21 meters square, but not without its charms: in each room, you’ll find customized wallpaper adorned with sketches of various historical buildings and monuments in Jakarta, such as the National Monument (Monas). 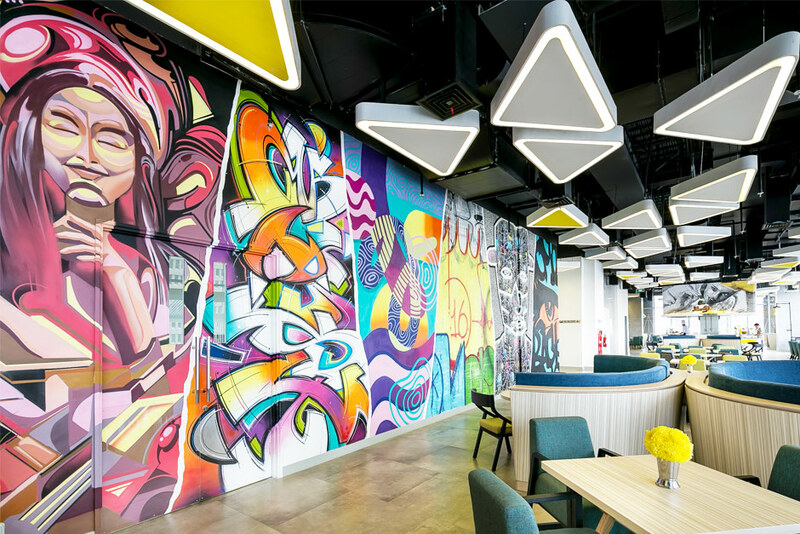 While it might initially seem otherwise, these rooms actually felt more spacious and clean due to the high ceiling and white palette, which help create a low-key yet bright atmosphere filled with positive energy. 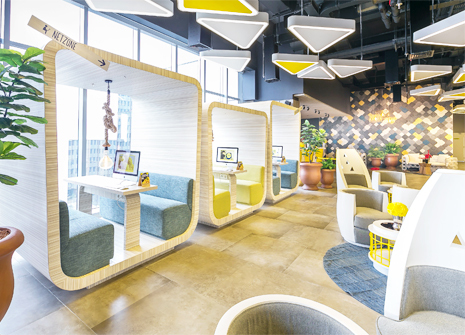 With a strong emphasis on urban art elements, YELLO Hotel positions itself as a creative space for netizens. Which is why, in order to establish itself as a fervent supporter of the art form, YELLO Hotel held the annual OFF DA WALL Urban Festival where 29 amateur and professional street artists whose artwork sketches have been chosen out of more than 40 others, are invited to the hotel where on-site competition was held. In addition to the competition, the event will also have numbers of tenants participating in the bazaar, such as food truck, tattoo artist, and clothing lines. What’s exciting, various graffiti stars from Indonesia and France took part in the event, among others: Kongo, Fenx, Colorz, Tilt, Mist, Farhan Siki, Darbotz, Soni Irawan, Tutu Stereoflow. 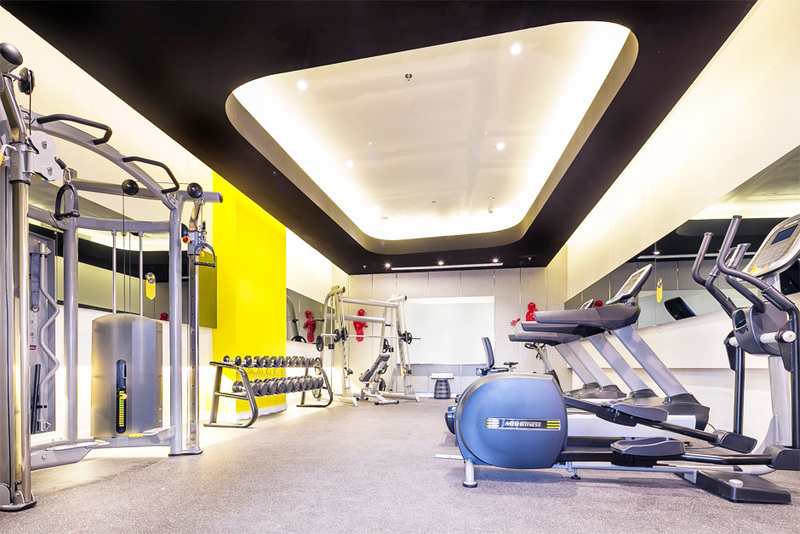 What’s more, YELLO Hotel Harmoni is also connected to HARRIS Vertu Hotel ( the first five star hotel of Harris in Jakarta) and HXC shopping mall. 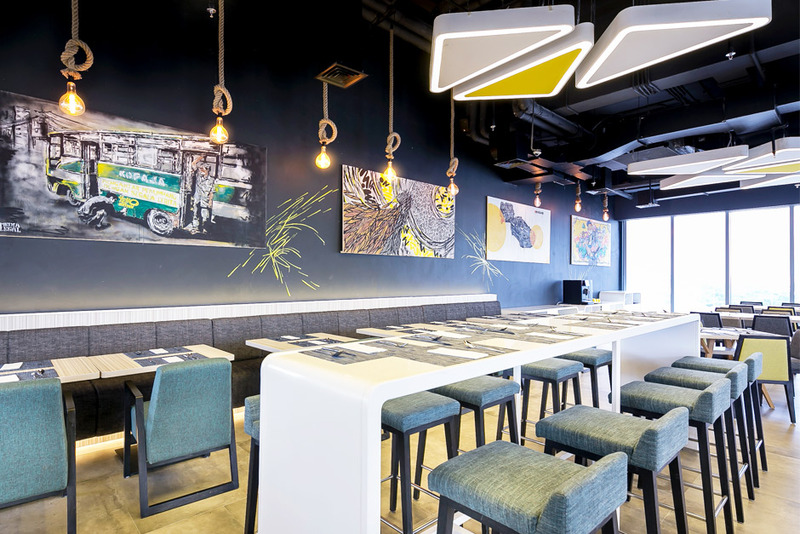 This gives guests the added facilities of entertainment venues, spa & reflexology, hair salons, ATMs, and many more – all just a few steps away. 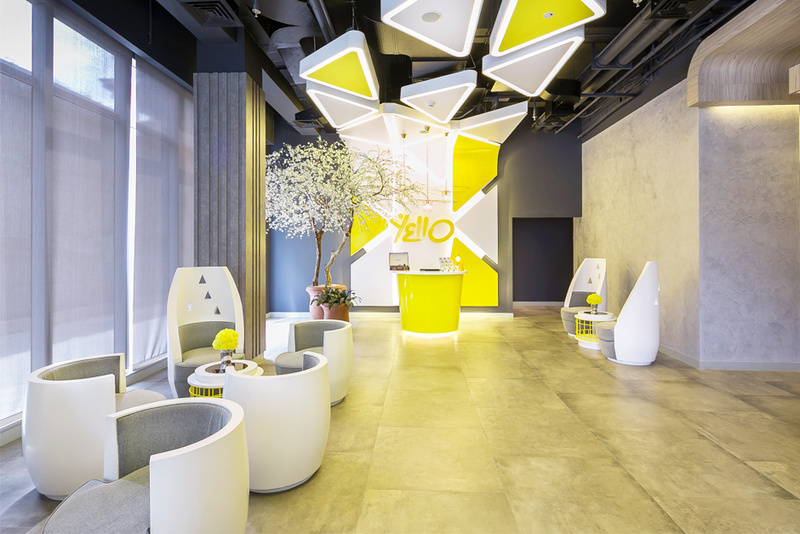 We welcomes YELLO Hotel with a big smile in the heart of the city where art collides with design and much more. 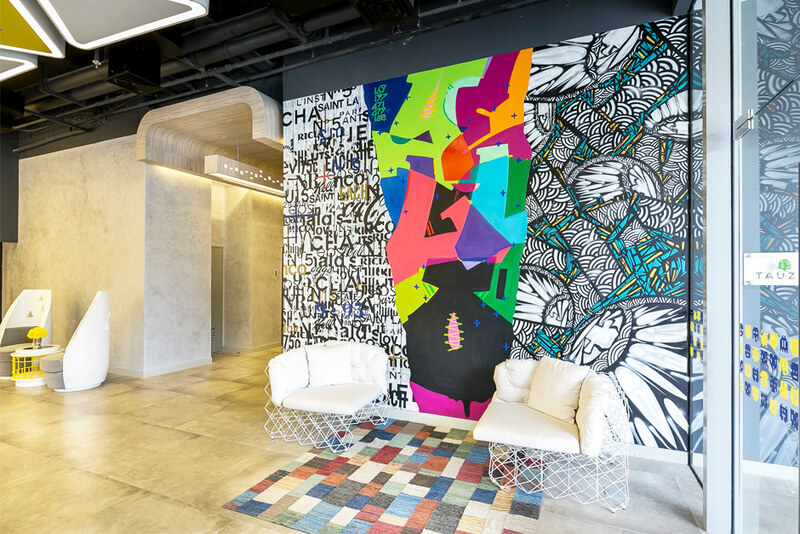 It’s not a hotel, it’s where the tenants would instantly feel the creative energy and cheerfulness of art and design through its space. 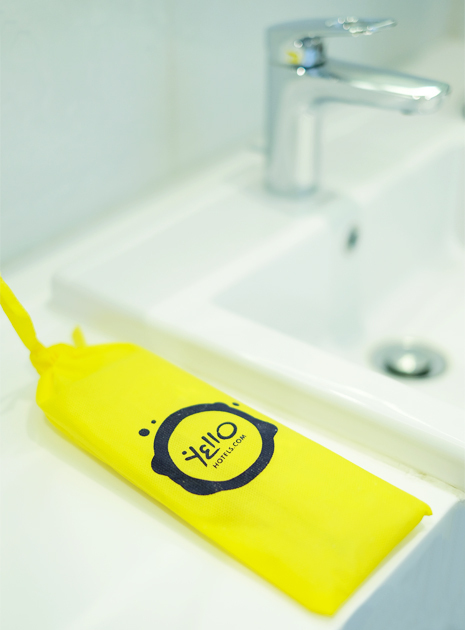 YELLO Hotel is part of the TAUZIA Hotel Management.